A multi-sport athlete and a Western Hockey League player have been named as Manitoba’s top Aboriginal athletes for 2016. 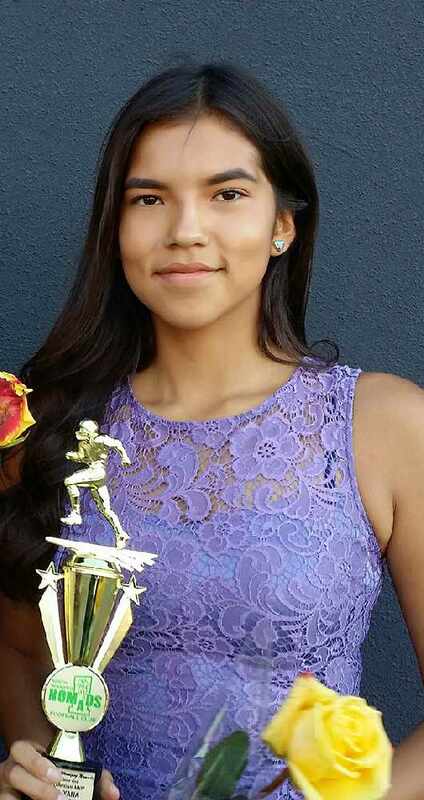 Winnipeg’s Aiyana Hart, a 15-year-old who compete in wrestling, kickboxing, rugby and football, was chosen as the female athlete of the year by the Manitoba Aboriginal Sports and Recreation Council (MASRC). Male athlete of the year honours went to Linden McCorrister, an 18-year-old sophomore forward with the Western Hockey League’s Brandon Wheat Kings. Hart, a member of the Carry The Kettle First Nation in Saskatchewan, was surprised when she was notified of her accomplishment. An athletic highlight for Hart in 2016 was winning a bronze medal in the girls’ 60-kilogram category at the provincial high school wrestling tournament last March in Winnipeg. Since her own high school didn’t have a wrestling team, Hart was able to represent another Winnipeg school, Garden City High School. Besides the provincials, Hart also participated in four other wrestling tournaments during her Grade 9 season. She won one of those events and had second, third and fourth-place finishes in the other meets. Hart also competed in her first kickboxing tournament this past October. She lost both of her matches in that tournament. She believes she would have fared better had she been healthy. “My finger was messed up,” Hart said. She competed in the event even though she had injured her right ring finger earlier in the year playing football. Three weeks ago she had surgery on her finger to repair a hairline fracture and some nerve damage. “I’m on a break now,” said Hart, adding she is hoping to resume her sports career in about a month. During her first year of high school, Hart also earned a spot on the Sisler girls’ rugby team. But she was forced to leave midway through its season as she had a busy schedule suiting up for the North Winnipeg Nomads, a girls’ football squad. Hart, the Nomads’ quarterback, was a team captain and was named the club’s offensive MVP. She is planning to play just one more year of football. She joined the Winnipeg-based Schewa Wrestling Club last October and plans to stick with that. And she is hoping to enter another kickboxing tournament later this year. Hart also aspires to become proficient in mixed martial arts. “I want to try and get into the UFC,” she said of her athletic dream. As for this year, Hart will also compete in wrestling at the North American Indigenous Games, which will be staged in July in Toronto. As for McCorrister, who is from the Peguis First Nation, he was a member of a championship squad in his rookie season in the WHL. After winning their league crown last spring, McCorrister and his teammates qualified for the Memorial Cup tournament held in Red Deer, Alta. But the Wheat Kings lost all three of their round-robin matches at that national tourney. McCorrister appeared in 58 regular season and playoff matches in his rookie WHL campaign and earned eight points, including three goals. MASRC officials selected their top athletes on a number of criteria. They included their positive role in sports and their community, their commitment to athletic development, their athletic achievements and their concern for holistic development. Besides its female and male athletes of the year, MASRC officials also announced Aboriginal coach and volunteer winners. The female coach of the year is Jayme Menzies, a Métis volleyball coach from Winnipeg. The male coach recipient is David Muswaggon, a softball coach from Cross Lake First Nation. Meanwhile, the winners of the Aboriginal volunteer awards are Celicia Amos from the Fisher River Cree Nation and Jamie Mousseau from the Long Plain First Nation. Menzies was the head coach of the Jr. Wesmen girls’ under-17 volleyball squad. The team won a provincial title and placed fifth at their national tournament in Edmonton. As for Muswaggon, TSN produced a documentary about one of his softball squads, the Pimicikamak Thunder. The film focused on how the club is providing hope to the Cross Lake First Nation following numerous youth suicides. Amos, a Nursing student at the University of Manitoba, volunteered as a coach with a male youth softball team from Fisher River Cree Nation last year. The squad captured the bronze medal at its provincials, organized by Softball Manitoba. As for Mousseau, he coached both youth hockey and soccer teams last year on the Long Plain First Nation. He also helped organize the First Nation’s annual Winter Festival.